Selina-Jane is a lawyer, mediator and collaborative professional with over 20 years’ experience in family law. While she is experienced in family law litigation, her preference is to assist and empower families to find solutions themselves to their family law issues or as they navigate family changes. Selina-Jane is an accredited Family Dispute Resolution Provider and previously has been appointed by the Family Court to lead mediations in parenting disputes. In addition to being a trained and experienced mediator, she is also trained and experienced in Collaborative Practice which aims to assist families to resolve legal issues in a respectful and dignified manner without Court proceedings. 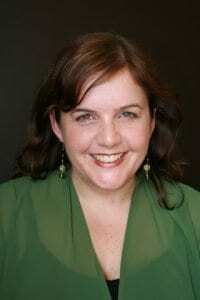 Selina-Jane presently serves as Chair of Collaborative Advocacy NZ and has served on several committees of the International Academy of Collaborative Professionals. From time to time, she works as a trainer of other lawyers in Collaborative Practice or as a contract lecturer at AUT in the area of dispute resolution. Selina-Jane has a particular interest in how mediation and Collaborative Practice can be used to assist families to proactively manage their property interests, both in terms of relationship property agreements and estate planning. As a child of divorced parents, a step-child, a step-parent and a parent, she understands the challenges and opportunities all these family roles come with. As a mediator, she has seen how mediation can assist blended families to navigate their new family structure in a positive, constructive manner. Selina-Jane sincerely believes it is never too late to resolve your family law issues in a non-adversarial way and am committed to assisting families to explore new ways of communicating and problem solving together.